Political theorist Adom Getachew will moderate a discussion between Harvard philosopher Tommie Shelby and Heilbroner Center for Capitalism Studies Faculty Fellow Michael Dawson of the University of Chicago. 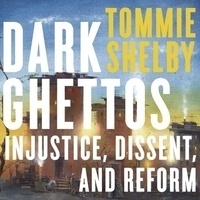 Shelby and Dawson will discuss what implications an analysis of the intersection of race and capitalism have for the argument Shelby advanced in his book Dark Ghettos. Presented by the Heilbroner Center for Capitalism Studies. Cities and Urbanism, Humanity, Society, Social Justice, International and Global, Politics, Policy and Government, Education and Learning, Race In The U.S.